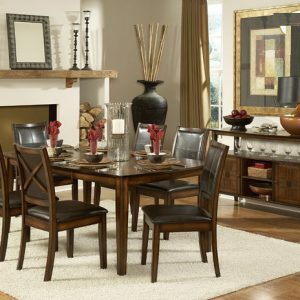 Rustic charm meets upscale design in the form of this stunning collection. 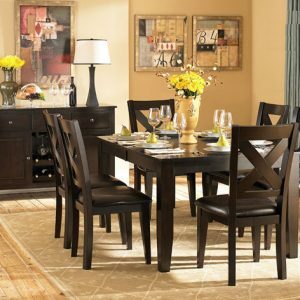 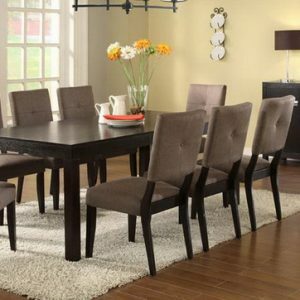 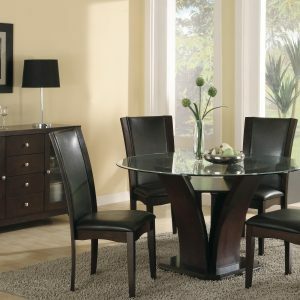 The rustic wood grain and antique black finish take you to a charming farmhouse somewhere in the countryside, achieving an inviting, homey atmosphere that will have family and friends coming back for more. 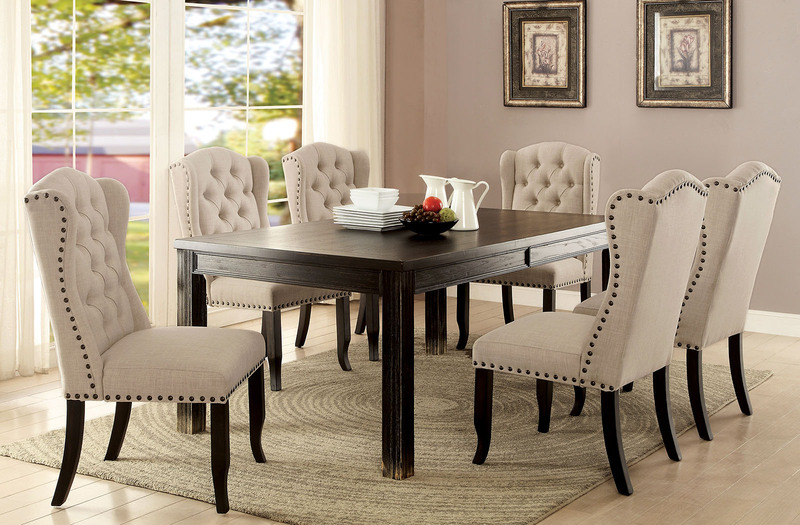 Elegant ivory linen-like chairs add sophisticated appeal with their Wingback sides, button tufting and nail head trim.